Finding motivation to workout, eat healthy and live an active lifestyle can sometimes feel like finding a needle in a hay stack. Instagram fitness models are a dime a dozen, and to be honest, I am all about authenticity when it comes to following influencers online. If you aren’t coming across as genuine, then I don’t want to watch it. I wanted to share with you some of my favourite YouTubers/Instagram influencers who provide me with motivation and inspiration every day, and they do it all while being super relatable. I watch these influencers weekly, and always leave the videos with a giant smile on my face. So if you don’t know who Sarah’s Day is on YouTube, you are seriously missing out! Sarah Stevenson is an Australian YouTuber who focuses on health, wellness, nutrition, and fitness. She is seriously a ball of sunshine! I love Sarah because her motto is ‘listen to your body.’ She’s all about holistic health, natural remedies, functional training and healthy recipes. Sarah uploads a new YouTube video every three days so you’ll always gave new videos to catch up on! Okay, so Chelsea is insanely relatable to me. She’s a 23-year-old lifestyle YouTuber who does videos on health, fitness, lifestyle vlogs, fashion and more! She’s based just outside of Toronto, and is super authentic with her audience. Just watch one of Chelsea’s videos, and you’ll immediately know she is all about being honest with her viewers, talking everything from break ups to acne. Alex is not a fitness or health YouTuber, but she’s a lifestyle vlogger who literally lifts me up exactly when I need it. 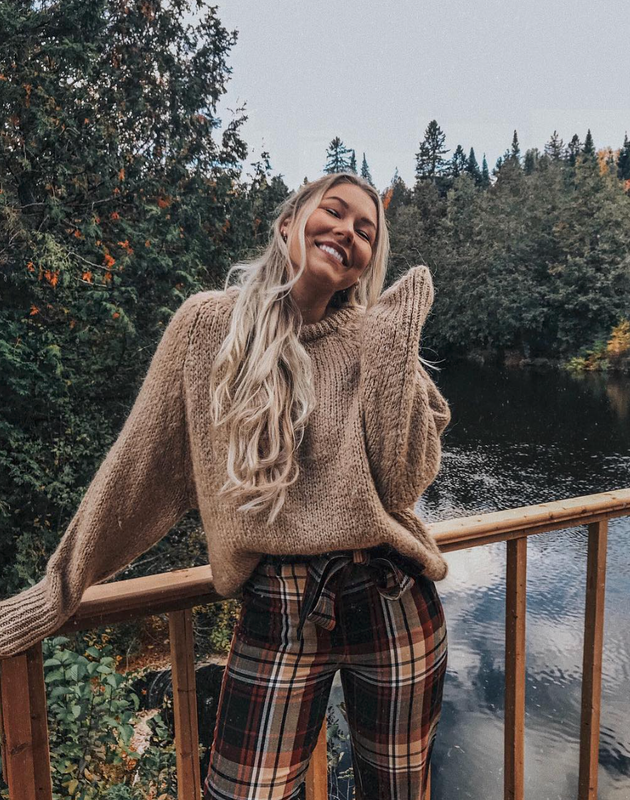 This Quebec-based boss babe is all about fashion, family and doing things that make her happy. Alex comes off so genuine in her videos, she almost feels like a super-close friend. She’s the type of girl who loves fall (which is totally me). One thing I love about Alex is her outlook on life. She’s a very giggly, happy-go-lucky YouTuber, whose spirit is infectious! Her eye in the details shows you how hard she works to keep her following going online, and she’s just a sweetheart. YouTube for me is still a very new space. I’ve always had a love-hate relationship with it, but since starting my fitness journey 2 years ago, I’m finding it more useful with my health and wellness every day. Check out these awesome women if you need inspiration or just a little pick-me-up to make you smile!